Be accountable by hiring the right candidate. Interviewing accounting professionals presents a separate set of challenges from other professions. Ensuring you hire the right candidate helps your company maintain its success, so start by asking the right questions. 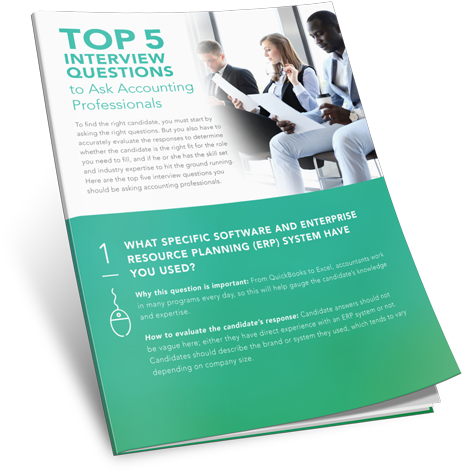 Here are the top five questions you should be asking during the interview process and what types of answers you should be looking for.